While talking with a friend in Chicago, a CEO, he became impassioned by our conversation and said to me, "People think business is all about money! Don't they know business is all about people?" Smart hiring. Start by hIring the right people. Don't make the mistake of focusing solely on grade point average, skills, or the one that causes me to shake my head - 'years of experience,' - but hire people whose values and attitudes align with the values and culture of your business. Employee Engagement. Provide your employees with the training, experience, support and mentoring they need to succeed in your business. Help them use their strengths to achieve their own goals while achieving the goals of your business. Reward them for behaviors that align with the cultures and values of your business and pay them fairly or generously. Client Satisfaction. Your employees, selected wisely and engaged fully (see above), will use their strengths to capably and enthusiastically serve your clients. Your clients will experience and appreciate your employees' capability, commitment and enthusiasm and they'll attribute it not just to a single employee, but to your business. Profitability. Satisfied clients will value the benefits your employees and business provide. As a result, they'll pay you fairly, perhaps generously, and willingly. Furthermore, they'll hire you when they need additional work and they'll become your fans, spreading the word to other prospective clients. Closing the circle. Share the success with your employees by sharing both praise and profits. Doing so will continue the engagement and heighten the satisfaction of your employees, leading to continued client satisfaction and business profitability. Is this simplified? Of course it is. 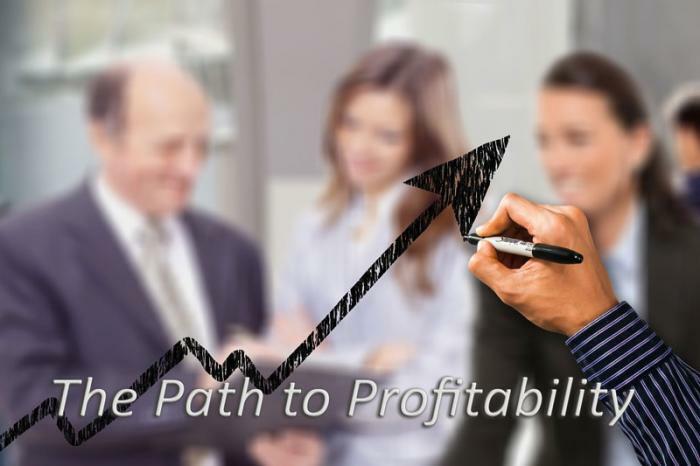 You'll experience complications, but this basic path from satisfied employees to satisfied clients to profitability works! When you experience complications or setbacks, ask yourself, "Are we on the path from employee engagement to client satisfaction to profitability? Where have we strayed from the path?" "How can we get back on path?" Remember that competence is just the barrier to entry. Unless your business is 'the only game in town,' and that's unlikely, your clients can go elsewhere. It's the fully-engaged, committed and enthusiastic service your employees provide that turns your clients into fans and leads to your business profitability.